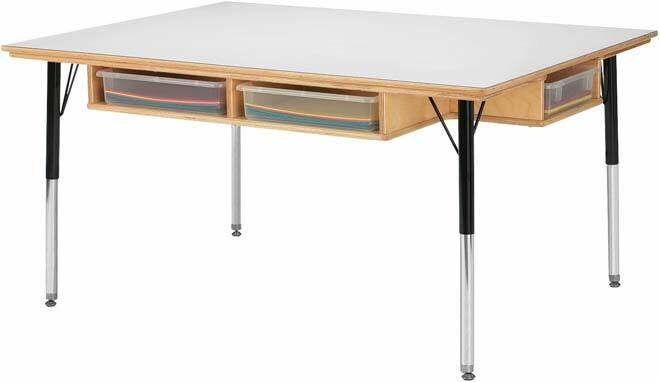 Table with Storage by Jonti-Craft has workspace and storage for six. White laminate tabletop with Birch edgebanding. E-Z to install table legs adjust in one-inch increments. Clear paper trays included.